I held my breath so many times. When it was too beautiful or too shocking or when I was too worried for our hapless hero. Don’t miss this journey into adventure, into bravery and joy, into LIFE and living it. 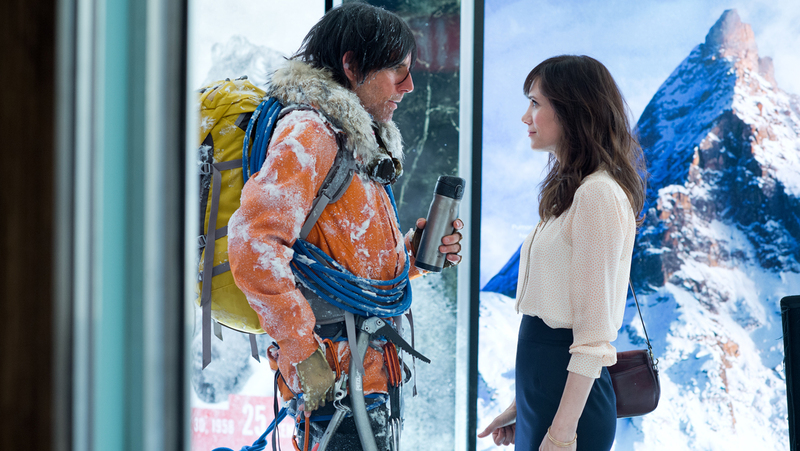 Starring and directed by Ben Stiller, The Secret Life of Walter Mitty is an instant family classic reminding us to seize life and live it. It also shows the value in cherishing everyday moments that seem mundane, those unposted, ungrammed, forgettable day-to-day type events like work and meals. My friend Dan says, “No one posts pictures of themselves in their cubicles at work because they don’t seem glamorous enough for Facebook, but we all go to work and it’s okay.” Dan is wise. Flat, grey paper Mitty from side A of the film would not agree, but post-transformation Walter Mitty feels the valuable weight of each moment. Don’t worry. It’s not a spoiler. Every character must undergo transformation. Dorothy must go over the rainbow but return to admit that “There’s no place like home.” The Grinch-heart must grow 3 sizes. The underdog must win. Even the bad guy must see his ills in a mirror and move to change and become likable. Transformation. 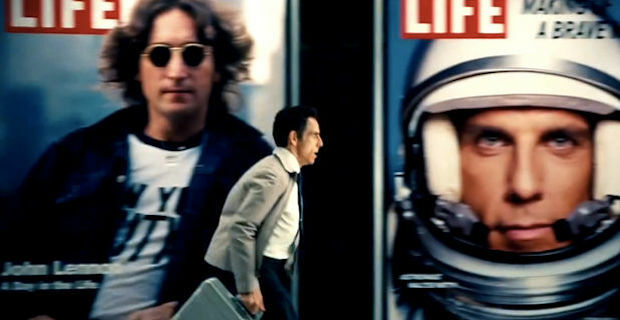 Life Magazine‘s humorous first motto was “While there’s Life, there’s hope.” Stiller offers another cinematic take which graffiti fonts the film and leads Mitty on his path to self-discovery. 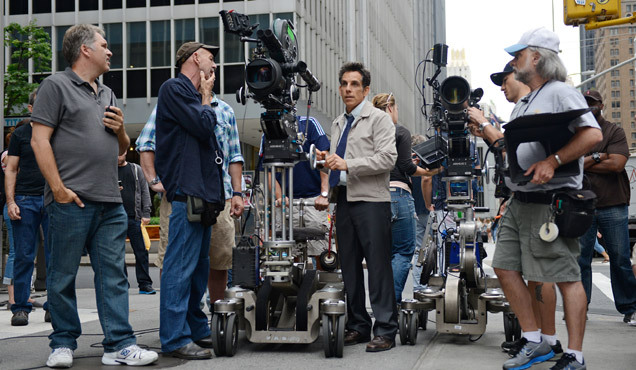 Kristen Wiig, Adam Scott, Patton Oswalt, and other TV funny people walk alongside Stiller holding hands with greats like Sean Penn and Shirley MacLaine. It’s a beautiful film. I went with my family after Christmas. We will most likely go again. Probably tomorrow. 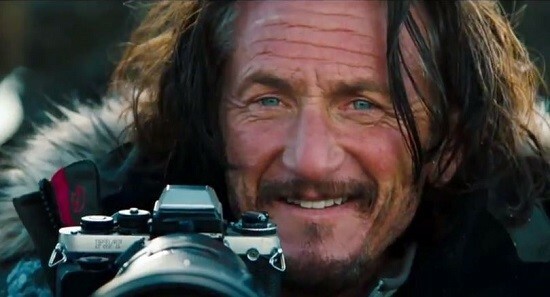 I really enjoyed this film and your review of it. I’m quite a cynical person but I fail to see how you could see this film and not be touched by it. I completely agree; I loved the movie. 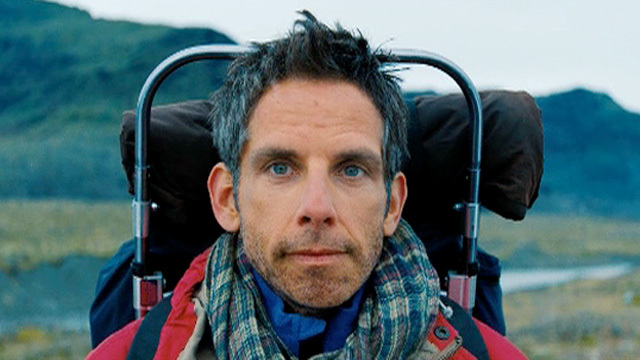 I’ve seen a lot of so-so reviews, but I thought Ben Stiller did an amazing job. I also can’t believe that it didn’t finish in the top 5 at the box office!